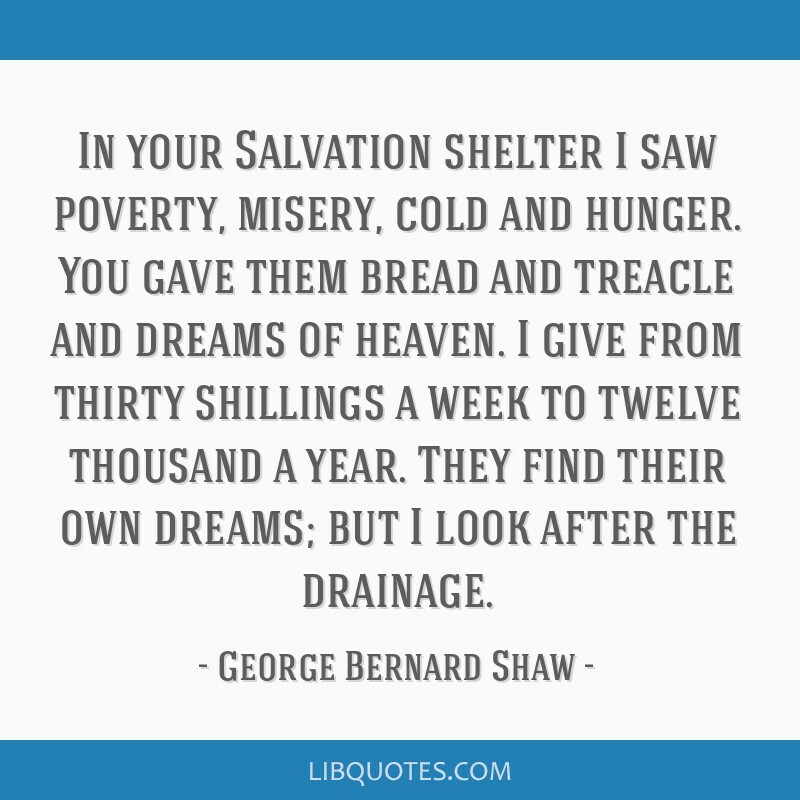 In your Salvation shelter I saw poverty, misery, cold and hunger. 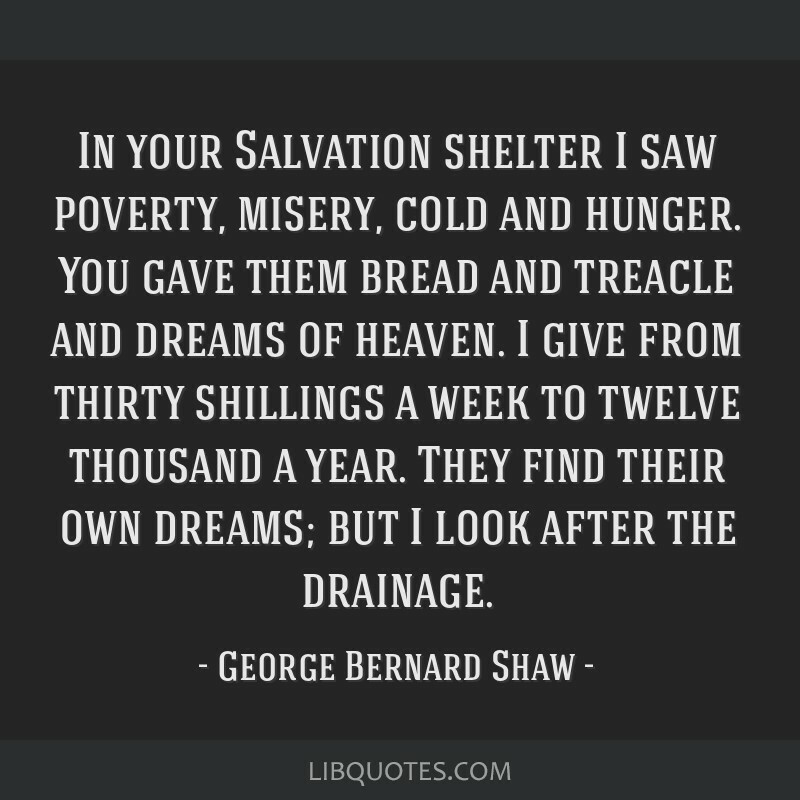 You gave them bread and treacle and dreams of heaven. 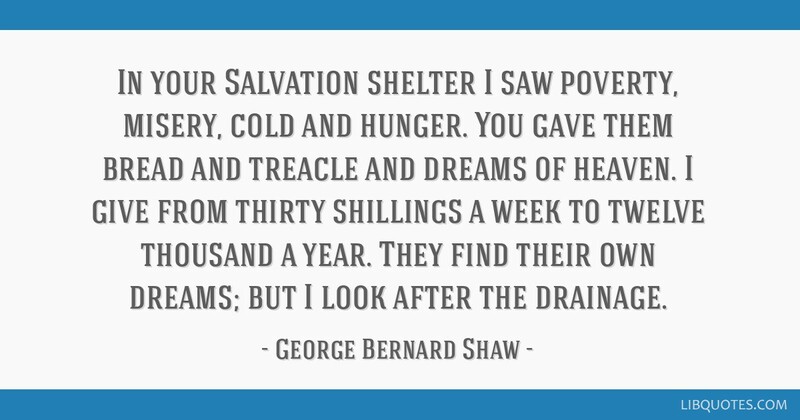 I give from thirty shillings a week to twelve thousand a year. 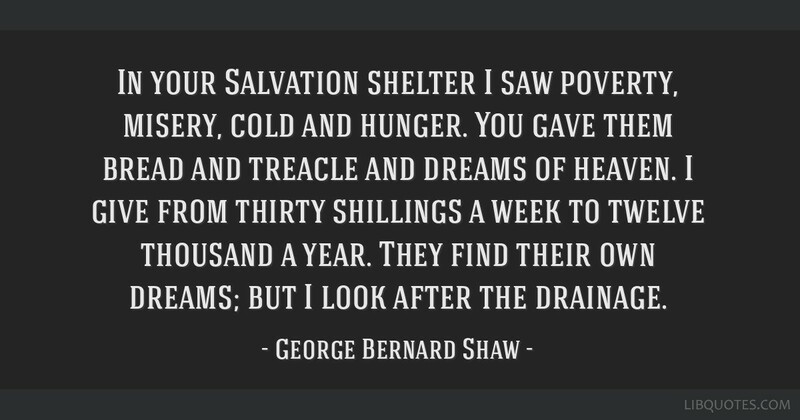 They find their own dreams; but I look after the drainage.